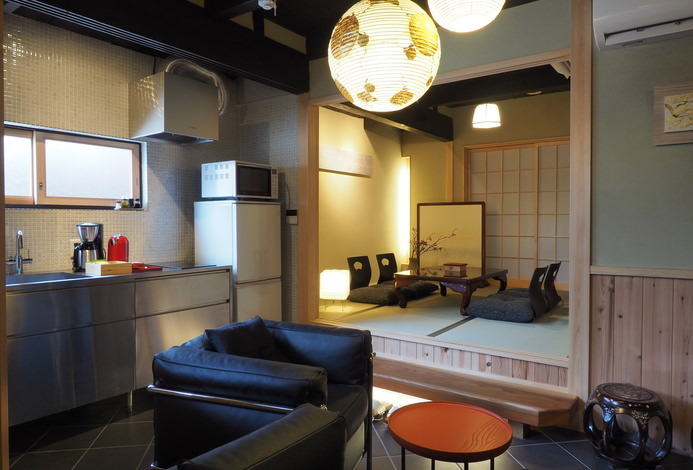 Accommodation where one can meet the real Japan. 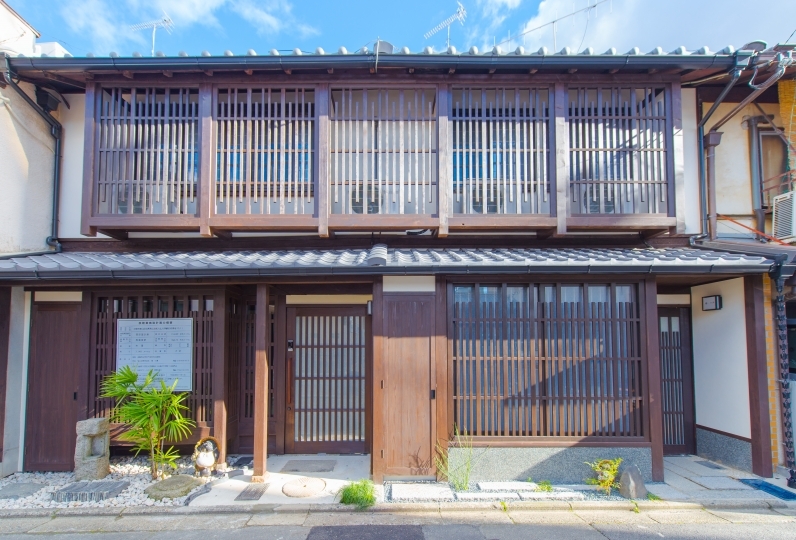 Why not experience the lifestyle at a Machiya Townhouse? 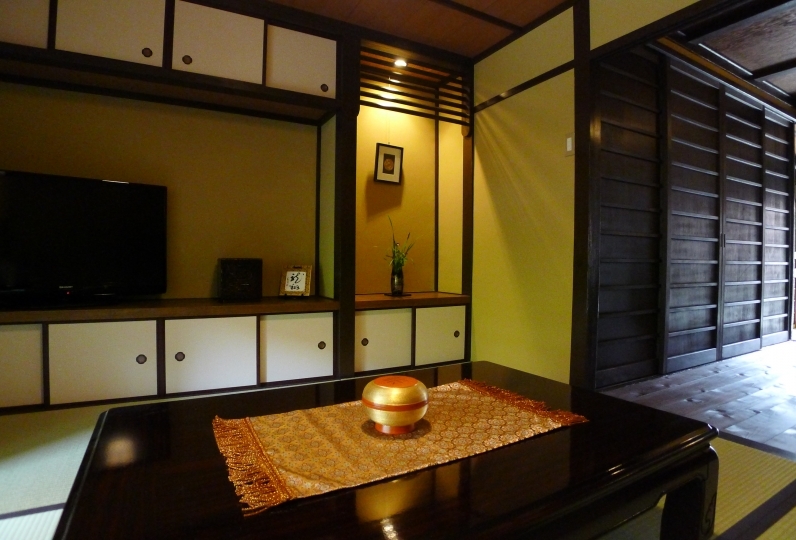 Make a reservation as soon as possible because it is limited to one group of guests per day. There is a popular walking course through which one can enjoy the four seasons of Kyoto from Yasaka Shrine to Kodaiji temple in Higashiyama Ward, Kyoto City. 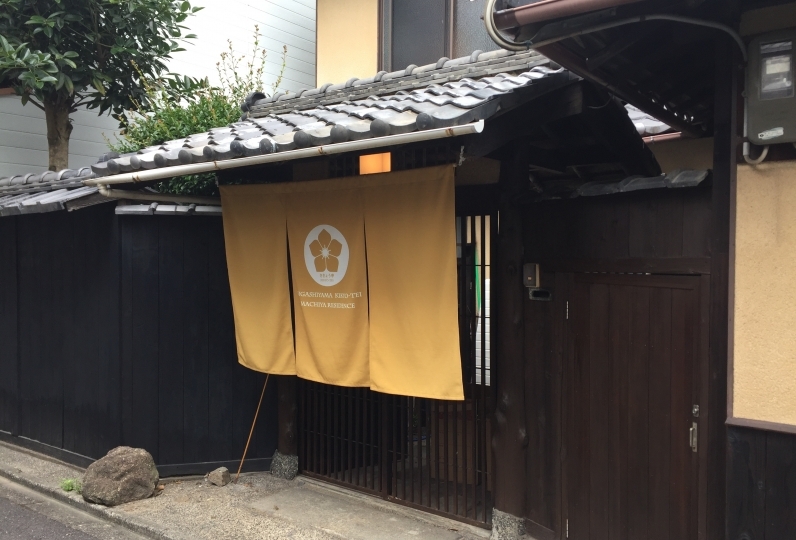 When entering from a hustle and bustle of the city close to Kodaiji and other tourist attractions, "Rinn Yasaka Kodaiji" appears in a quiet alleyway hardly imaginable to be at the heart of the urban center. 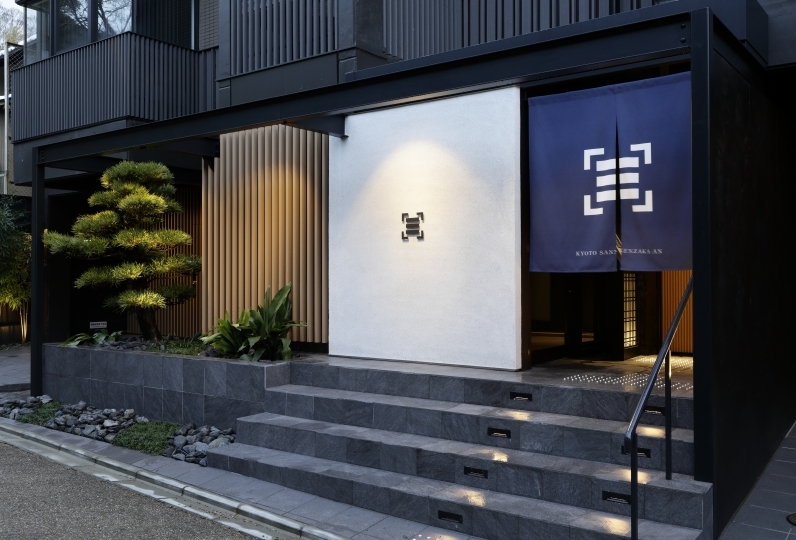 Upon opening the latticed doors, one is greeted by the space that feels like a "small Kyoto" decorated with incense burners and sliding doors. 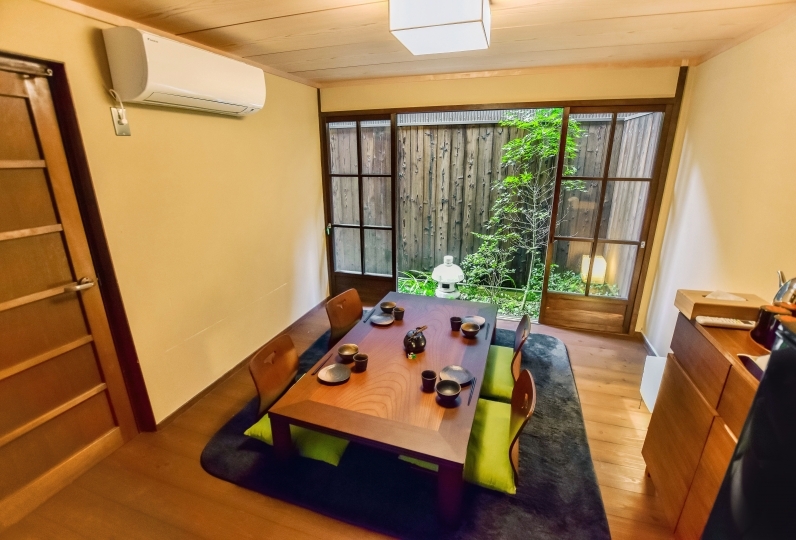 The courtyard which peeks through the tatami room and the room with a wooden floor on the ground floor is sure to heal the fatigue from the trip. On the second floor, one will find beds and futon. 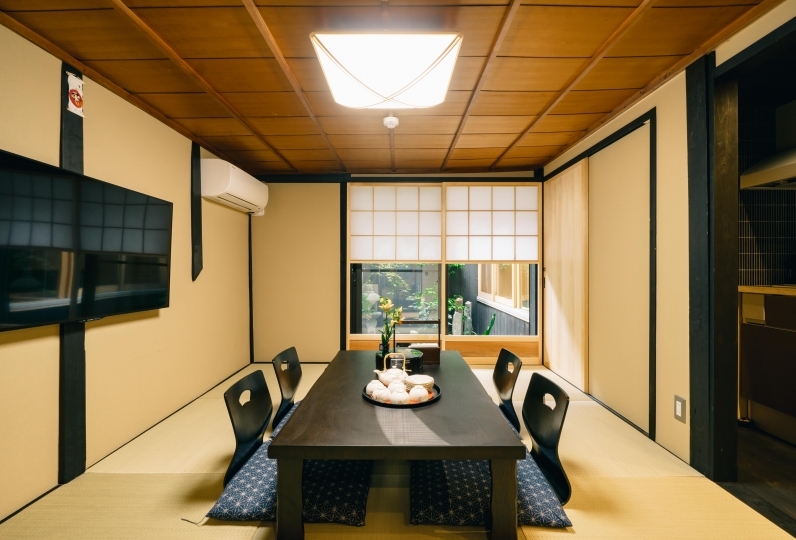 With the reception of gold brocade and Japanese paper everywhere, and in a space staging the glamor of Kyoto, families and friends can relax with ease. There is a meaning of "chain and connect forever" to the circle of the Cloisonne Pattern (Shippogara) used in the decorative handle. In the same way, at Rinn, we hope to cherish the fate that has brought our customers to Rinn forever. The kitchen has an IH stove, microwave and dishes, so one can do simple self-cooking. There is also a washing machine and a vacuum cleaner, so one can be at ease without worrying about laundry even for consecutive nights stay. 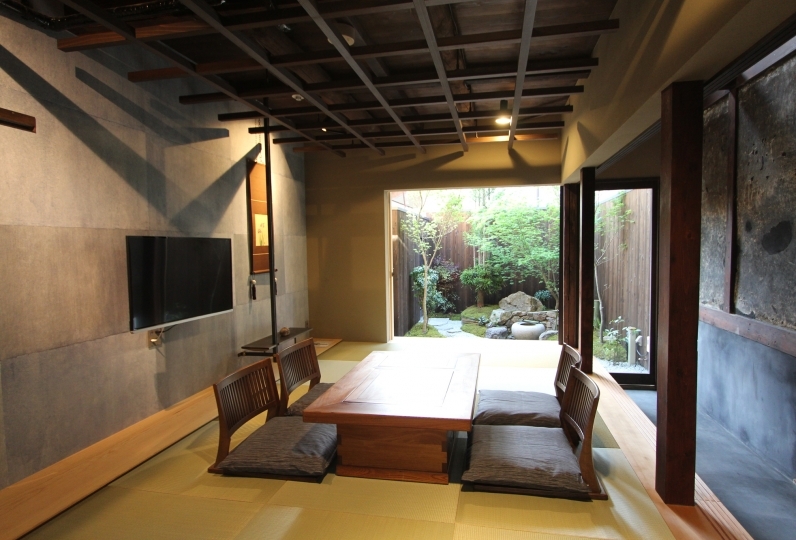 Please enjoy staying in the Machiya Townhouse, an experience unique to Kyoto. 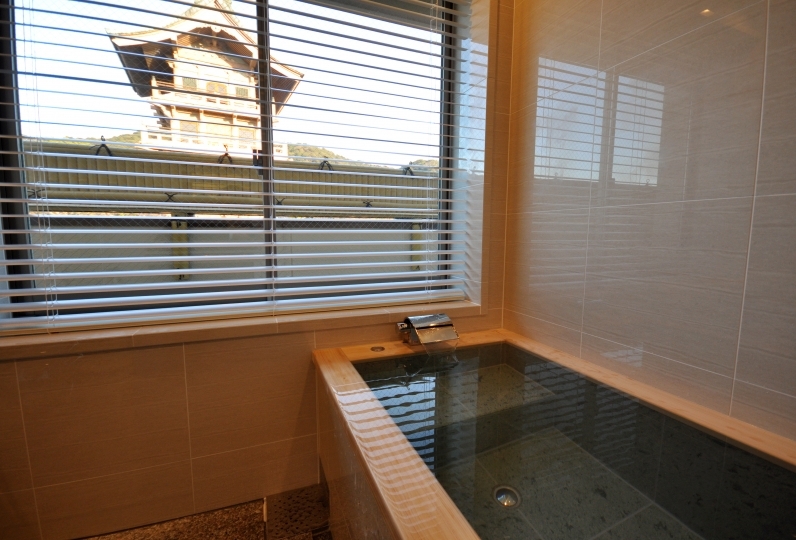 ・There are also other amenities such as microwave, refrigerator, pot, dishes etc. ・To visit the main sightseeing spots, Kyoto municipal bus service is convenient and can be taken from the nearest bus stop. 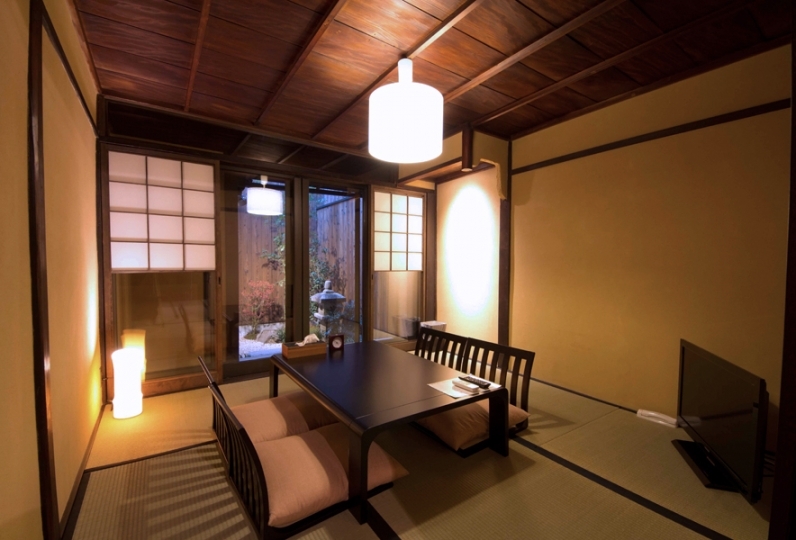 ・Check-in procedure・Passing of the key will be conducted at Rinn Gion Bishamon. ・We will also inform you of the access method to the location of Rinn Gion Bishamon via reservation confirmation e-mail so please verify. Accommodation facility and check-in location are different. 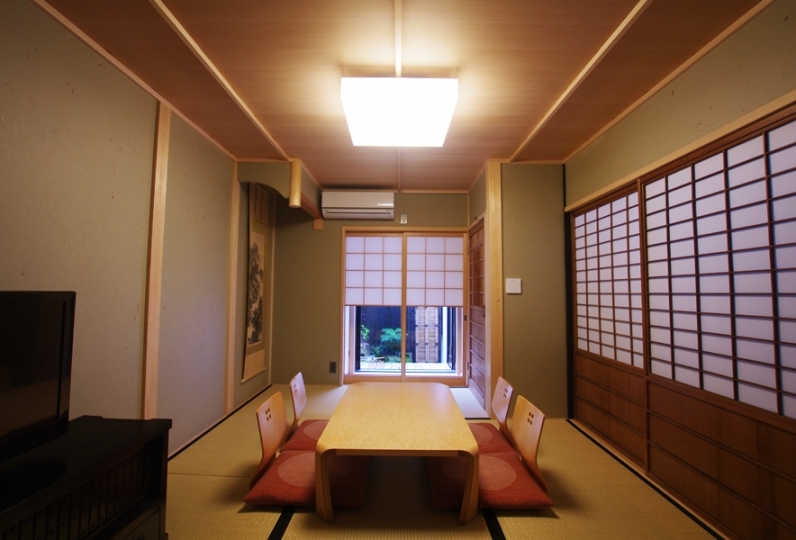 Please be careful not to go to the accommodation facility directly without visiting Rinn Gion Bishamon first. Please use the designated smoking space when smoking. ※We do not serve breakfast meals. ※Please be sure to check the cancellation policy. 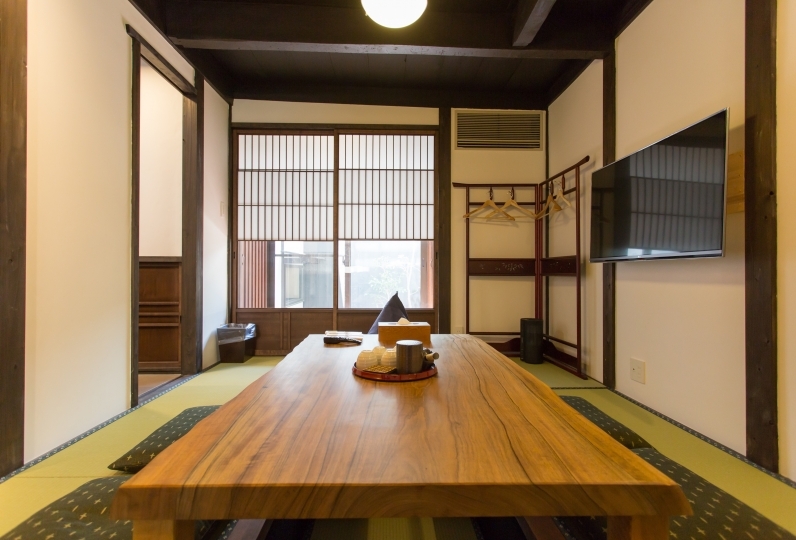 ・15 minutes on foot from Keihan main line "Gion-Shijō Station"
・Kyoto City bus 100,104 line from Kyoto Station, alight at "Kiyomizu-michi" Bus Stop, 4 minutes on foot from there.